Azerbaijani grandmaster Shahriyar Mammadyarov took the third place at the Grand Chess Tour 2018, Saint Louis Rapid & Blitz tournament. The national GM scored the place with 21 points (4), followed by Italian Fabiano Caruana with the 20 points (4.5). The third round of the Grand Chess Tour 2018, Saint Louis Rapid & Blitz tournament, held in Saint Louis, the U.S., ended with Hikaru Nakamura's victory. In the second round of the blitz competition, the American chess player scored 5.5 points out of 9 possible points and it has raised points to 22.5. Nakamura has surpassed Maxime Vachier-Lagrave with 1 point. The final position of race participants (rapid + blitz) is as follows: 1. Hikaru Nakamura - 22.5 points; 2. Maxime Vachier-Lagrave - 21.5 points; 3. Shahriyar Mammadyarov - 21 points; 4.Fabiano Caruana - 20 points; Levon Aronyan - 18 points; Sergey Karjakin - 17 points; 7. Leinier Domínguez - 16 points; 8. Alexander Grischuk - 15.5 points; 9.Wesley So - 15 points; 10.Viswanathan Anand - 13.5 points. Moreover, this year tournament system has been changed. Thus, participants holding 1-4 places in the fourth stage will be able to perform at the final tournament series in London, in December this year. Shahriyar is a three-time European Team Champion (2009, 2013 and 2017) and gold medalist at the 2012 Chess Olympiad on the third board. He won the World Junior Chess Championship in 2003 and repeated his victory in 2005, becoming the only two-time champion, achieving a 2,953 performance rating after eight rounds. After winning Essent Tournament in 2006, Shahriyar achieved the world fame. 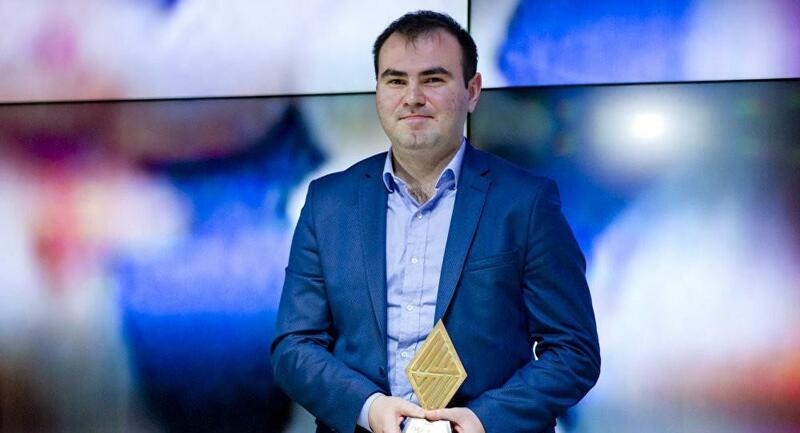 In June 2016, Mammadyarov won the 3rd Shamkir Chess Tournament, the Vugar Gashimov Memorial. He defeated Fabiano Caruana and Anish Giri in the last two rounds, which put him in a tiebreak situation with Caruana. He defeated Caruana in the tiebreak, thus giving him tournament victory. In April 2017, he won the Vugar Gashimov Memorial for the second year in a row with a score of 5.5/9. The GM also won the FIDE Grand Prix 2017 title. He played for Azerbaijan at the Chess Olympiads of 2000, 2002, 2004, 2008, 2010, 2012, 2014 and 2016. The Biel International Chess Festival is an annual chess tournament that takes place in Biel/Bienne, Switzerland. It consists of two events, the Grandmaster Tournament, held with the round-robin system, and the Master Open Tournament (MTO), held with the Swiss system. The Grandmaster Tournament has taken place since 1977.